AN attack involving gunmen and bomb blasts on a complex housing Government Ministries in Somalia’s capital killed at least 11 people on Saturday, including the Deputy Labour Minister, officials said. Claimed by the Al-Shabaab Islamist group, the assault was a sign of the insurgency’s continued ability to strike at the heart of Somalia’s Government, despite years of foreign military support for Mogadishu. The fighting began with two blasts at the gates of the complex housing the Labour and Works Ministries. Police say at least four gunmen then stormed the buildings, leading to a shootout as officers rushed to confront the attackers. “The death toll reached eleven, three of them women, and the number of wounded is 15,” said Abdukadir Abdirahman Adan, director of Mogadishu’s Aamin ambulance service. Senator Ilyas Ali Hassan confirmed that Saqar Ibrahim Abdalla, the Deputy Minister for Labour and Social Affairs, was also killed. “I cannot elaborate on how he died but I can confirm that he was killed inside the Ministry building,” Hassan said. Police official Ibrahim Mohamed said all the gunmen were killed. “There were some other casualties including members of the police,” he said, without elaborating. 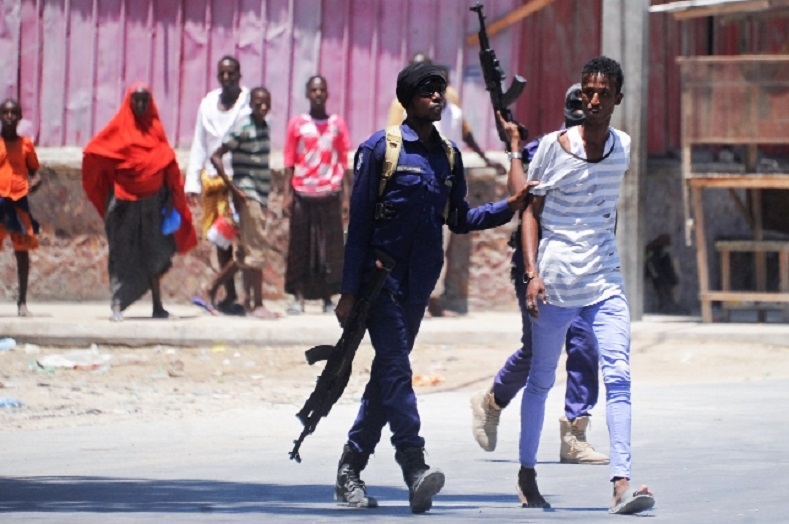 Attacks that combine bombings with gunmen have become a speciality of the Al-Qaeda linked group, which is running an armed insurrection against what it sees as heretic and foreign influence in Somalia. The group emerged from Islamic Courts that once controlled central and southern Somalia and are variously estimated to number between 5,000 and 9,000 men.